Which bridge boasts this fabulous sign? Feel free to respond via comments. This sign has always been one of my favorites. It sits on the Pennsylvania side of one of my favorite bridges. When the bridge was refurbished a few years ago, I was concerned the sign would disappear. It didn’t. The sign I adore, but don’t comprehend, still stands. I can appreciate pointing to New York, but why San Francisco? Indeed the cities are at nearly the same latitude (about a 3 degree difference). Is that the reasoning behind the sign, or is there another rationale? I like to think that’s the cover the sign maker used when, in truth, the City by the Bay is where he left his heart. 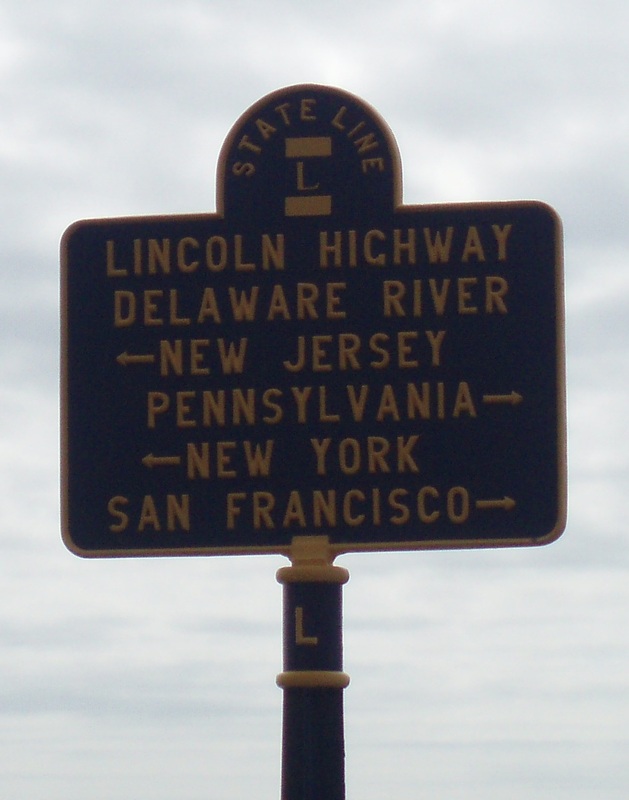 This entry was posted in Around Bucks County and tagged bridge, Bucks County, San Francisco, signs. Bookmark the permalink. Close, Mindy. The “Trenton Makes, the World Takes” bridge is the next bridge south of this one, Calhoun Street Bridge. The sign is on the Morrisville, Pa., side. 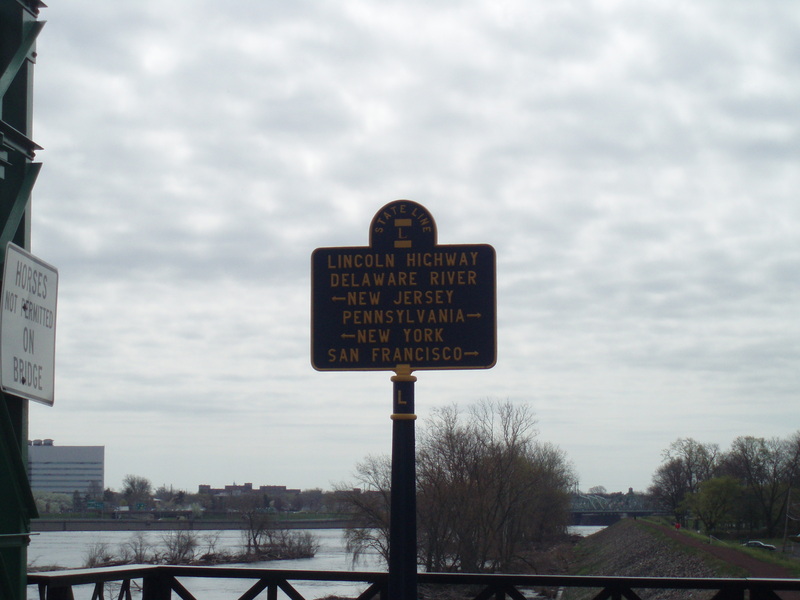 Between the two bridges is a wonderful elevated walkway along the dike with benches to take in the view of the Delaware River and the Trenton skyline. Or if you’re feeling more active, walk down the steps to use the chin-up bar and sit-up station in Williamson Park.